How many times have you done cardio in an effort to lose weight? When combined with a proper diet, cardio can be extremely useful to help aid in weight loss. The problem is, far too many people rely on the wrong type of cardio to achieve their results. 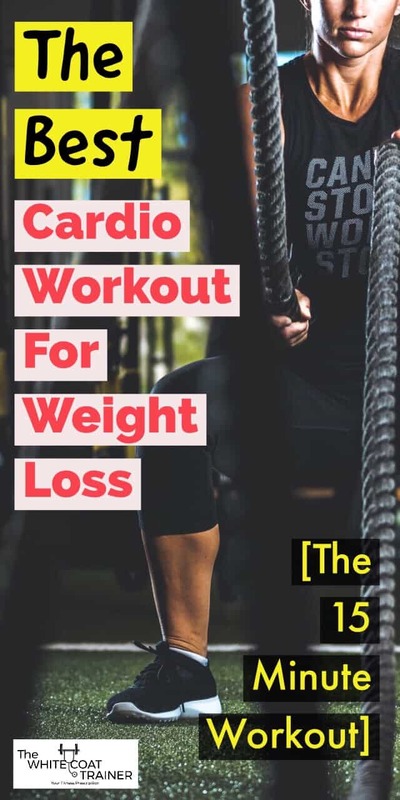 Today we will show you the best cardio workout for weight loss. Even better, it only takes 15 minutes or less. Welcome to the third installment of the WCT series on weight loss. In Part 1, How To Lose Weight Naturally Using The Incredible Power Of Food, we provide 7 dietary strategies that you can implement into your busy schedule to help you get started on losing weight. In Part 2, The 3 Best Exercises To Lose Weight Fast [And Build Muscle Too], we discuss the role exercise and muscle have on fat and a useful workout program to help shed weight. I highly recommend that you read those two articles first. – Cardio and weight loss, does it actually work? Anyone who has ever spent a significant amount of time on the treadmill knows that it will increase your heart rate, cause a lot of sweating, and give a small sense of euphoria. If done correctly, cardio exercises provide a great deal of benefit to your cardiorespiratory system. Over time, cardio improves your heart’s efficiency by increasing your stroke volume – or the amount of blood the heart pumps with each contraction. As your stroke volume increases, your heart rate will naturally decrease since it can produce more overall blood flow per cycle. This is why endurance athletes have a low resting heart rate of 40-60 beats per minute. All types of exercise expend a great deal of energy. In order to recover, your body has to undergo restful sleep to repair itself. Just don’t exercise too close to bedtime. Exercise is associated with increased levels of endorphins, or ‘feel-good’ hormones. There is plenty of scientific evidence that individuals with mental illness note significant improvement in symptoms when incorporating exercise into their routine. Cardio is a type of resistance exercise. In order to keep our bones strong and healthy, we have to make them work. Resistance exercise is one of the first line of treatment to treat and prevent osteoporosis. Cardio improves your heart’s efficiency and endurance. This improvement in cardiovascular fitness is an excellent marker for health and longevity. and Weight loss if done correctly. When people hear cardio they often think of low intensity steady state cardio. You know, the boring kind. When you spend an hour jogging on a treadmill. Fortunately, none of these benefits are exclusive to the long, slow, steady-state version of cardio. 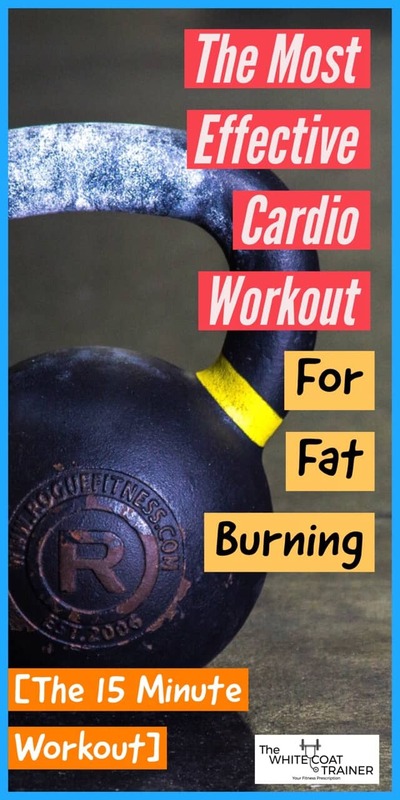 In fact, we argue that there are many ways to get the benefits of this long boring cardo without actually having to do it in our article titled Is Cardio Actually Necessary? 5 Reasons Why I Don’t Do Cardio. All of these benefits could be derived from better forms of exercise as we will describe below. If weight loss is your goal, slow steady state cardio may not be your best option. This type of cardio does not burn enough calories compared to the time commitment it requires. I once read that if you want to be successful at anything, just look at what everyone else is doing, and do the complete opposite. Go to any commercial gym and count the number of treadmills, ellipticals, stationary bikes and other cardio machines they have. Next, count how many people are using those machines at any given time. You can bet that the cardio area is the most popular section of the gym, no matter what time of the day it is. Given that so many people do this exercise, it has to be effective at burning fat and helping you to lose weight, right? How many times have you seen anyone lose a significant amount of weight from spending countless hours jogging on a treadmill? I’ll tell you. It’s not a lot. Slow steady state cardio does not burn a lot of energy. Depending on your body weight, and how fast you choose to run, 1 hour on the treadmill could burn approximately 300-500 calories. While calorie counting does have its drawbacks, it does give us some data. Just think about what 400 calories are. One small sandwich. A bowl of cereal with a banana. A yogurt parfait. Compare that to the long 60 minutes you have just endured to cancel out that one meal. The opportunity cost is too great. 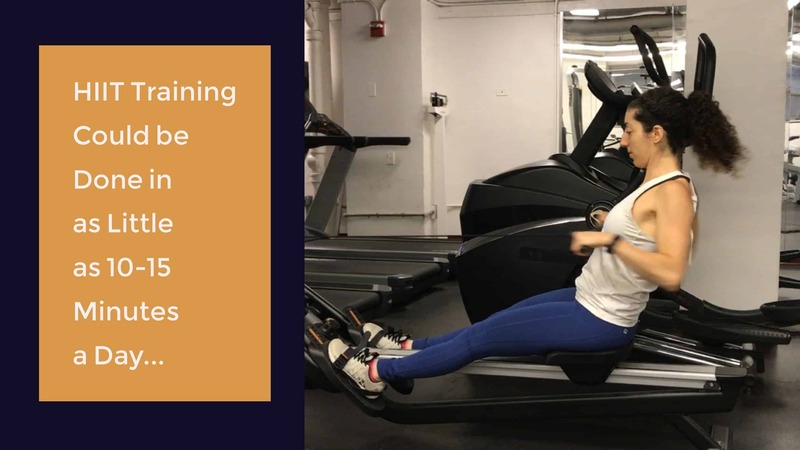 If you are a resident physician, a medical student, (or anyone who is busy) you do not have the time (and probably not the desire) to be on a treadmill for any amount of time. High-Intensity Interval Training (also known as HIIT) is the best cardio workout to lose weight and burn fat in a short amount of time. HIIT is a type of workout that requires you to give maximal efforts for a designated interval of time. These are the type of efforts that will get your heart rate elevated and make you breathe heavy really quickly. Imagine how you would feel after sprinting as fast as you possibly could for 60 seconds. The purpose of HIIT is to make you feel high levels of exhaustion at each interval. This is usually followed by a period of rest, and then a subsequent interval. The great thing about HIIT is that it can use different types of exercises to get you to that level. As you can imagine, this kind of training is expensive and will use up a lot of energy resources. The best news is, HIIT workout sessions could be done in as little as 10-15 minutes a day. You do not want a HITT session to last any longer than this. Here are three effective ways that you could implement a HIIT session into your workout. In addition you can do HIIT at the gym, in your house, or at the park! If I had to choose the top 10 HIIT exercises, these would be them. The first 5 are bodyweight exercises that can be done from home, and the second 5 require weights or equipment found at a gym. Obviously, this list is not comprehensive, but they represent a great mix of exercises that you can start with. As you get more accustomed to this type of training, you can then increase the variety of exercises you can do. It is not all rainbows and butterflies. HIIT does have its downsides. Those 10-15 minutes are brutal! Crossfit has forever popularized HIIT training and many people have seen great success using their methods. I have my qualms about Crossfit, but that’ll be a topic for another day. In short, the problem with HIIT training is that it can be very taxing to your body. In order to adequately burn calories and get the desired training stimulus, you must push yourself really hard every session. There isn’t necessarily a good way to scale the workout and still get the appropriate training effect. If you’re not gasping for air when it’s over, you didn’t do the workout appropriately and you didn’t utilize your energy resources correctly. Remember your goal is to lose weight! Also, because of the high impact of the exercises, it is important to ensure that you are using good technique. If you overdo it, the risk of injury is higher with HIIT than with regular training. Lastly, because of the intensity associated with interval training, it will require you to adequately recover in between sessions. As such, it may interfere with the recovery of other strength training sessions. Because of these limitations, HIIT may not be the best option for everyone. As with anything fitness related, start light, progress slowly and make sure that you have adequate exercise technique! So How Much Cardio (or HIIT) Do I Need to Do to Lose Weight? Because HIIT training is both mentally and physically draining, it’s wise to do it sparingly. You should only do it ~2x a week. 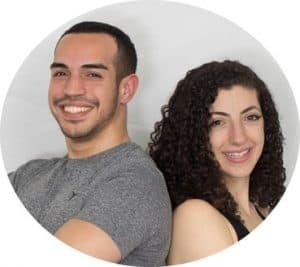 If you are able to improve your eating habits as we describe in Part 1 of this series and integrate strength training with HIIT into your weekly regimen, then you should begin to notice weight loss in as little as 7 days. We also include a weekly HIIT workout in our signature training program. Using a combination of both strength training and HIIT is most likely to give you optimal results when it comes to fat burning and weight loss. I do think that slow steady state cardio (i.e jogging or running for hours) can have its time and place in training in some situations. However, if weight loss and body toning is your goal, spending hours on a treadmill may not be the wisest investment. With that said, do not overestimate cardio. Your diet will still contribute at least 80% of your weight loss success. You will never be able to outrun a bad diet. So there you have it. You are now equipped to begin losing weight by using the best form of cardio for weight loss. HIIT is difficult and requires close attention to exercise technique, programming, and recovery. What do you think of HIIT? What about slow steady cardio? How many hours have you spent walking/running on a treadmill? Be sure to check out the fourth installment of the weight loss series, where we discuss another strategy that can help you lose weight. Believe it or not, walking is a tremendous tool that you can use to your advantage. You can find it at Walking For Weight Loss [The Most Underrated Way To Lose Weight]. Don’t forget to share this article if you found it useful, and subscribe to keep getting articles like this one. Once you join, you’ll receive a copy of our workout template!